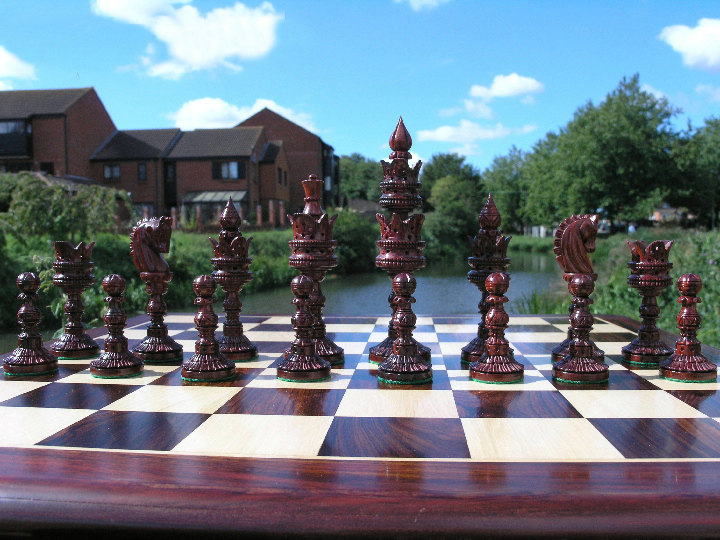 This product from Chess Baron: Special large version of the much loved Lotus design. 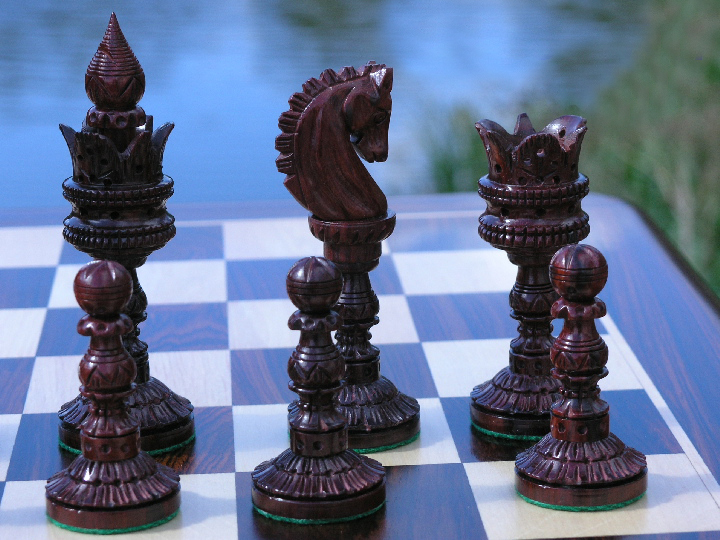 The best of Bud Rosewood material. 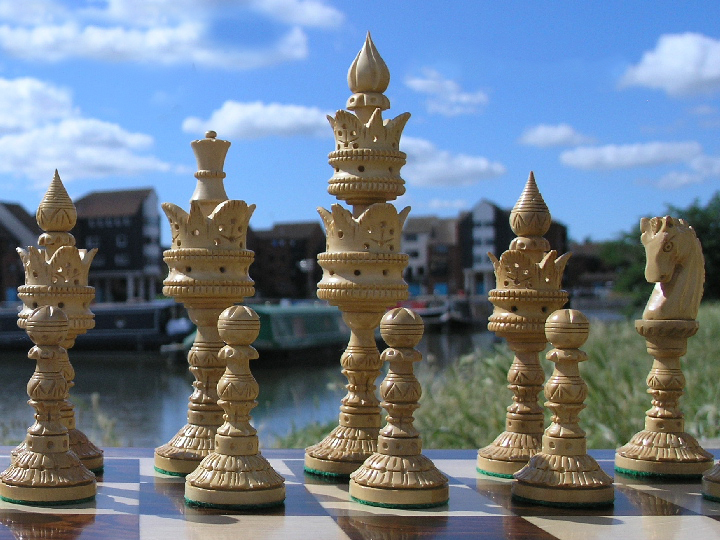 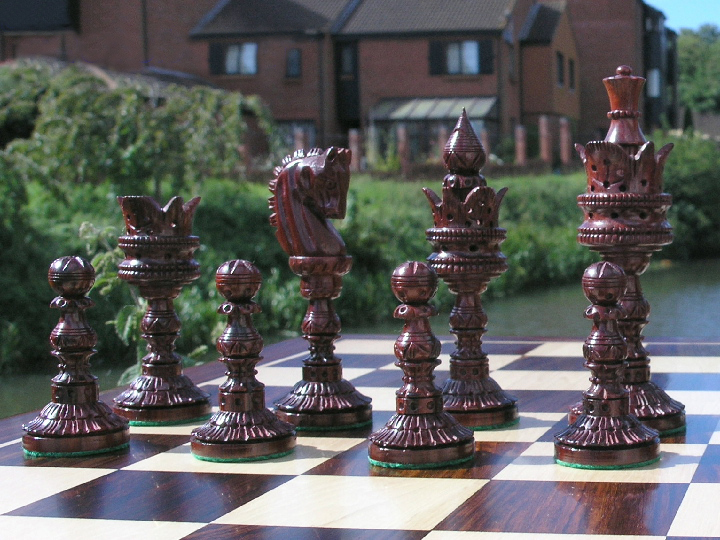 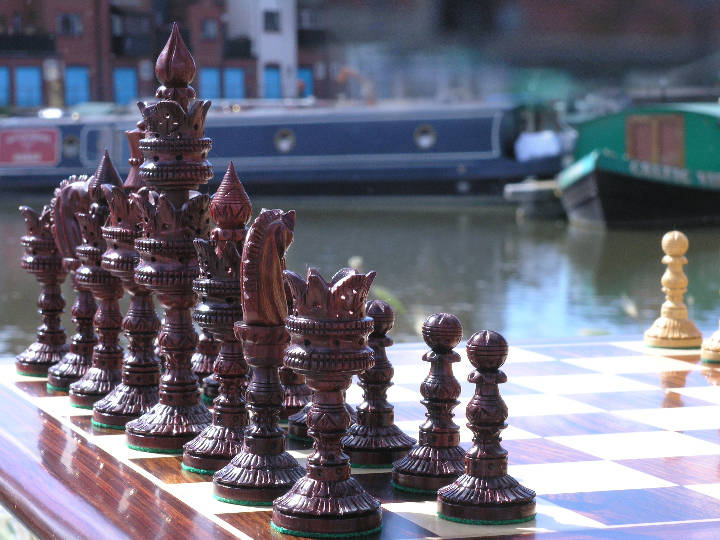 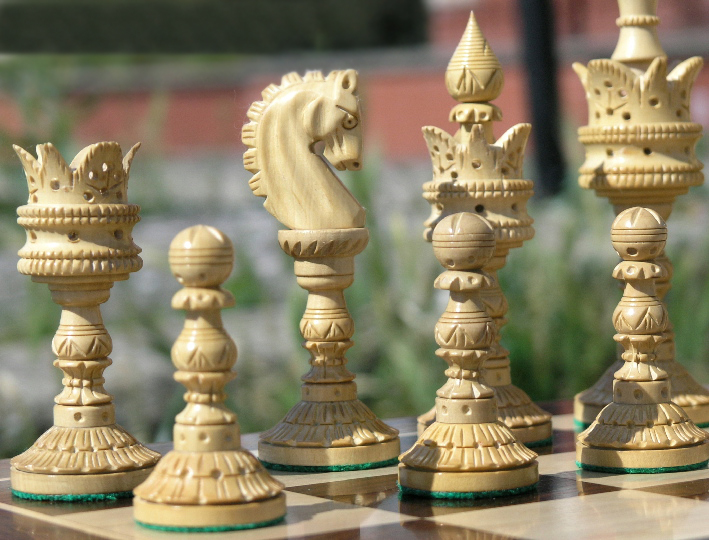 A twist on the Staunton design - this luxury chess set has good quality detail. 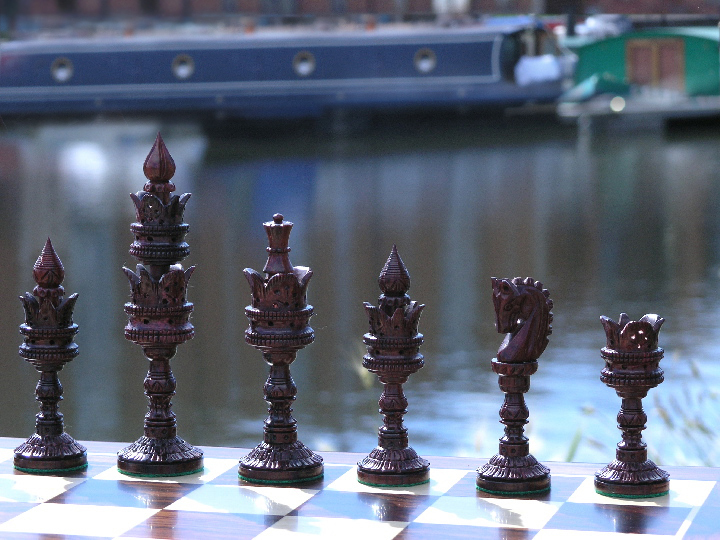 The king is slim but tall measuring 6.25 inches in height. 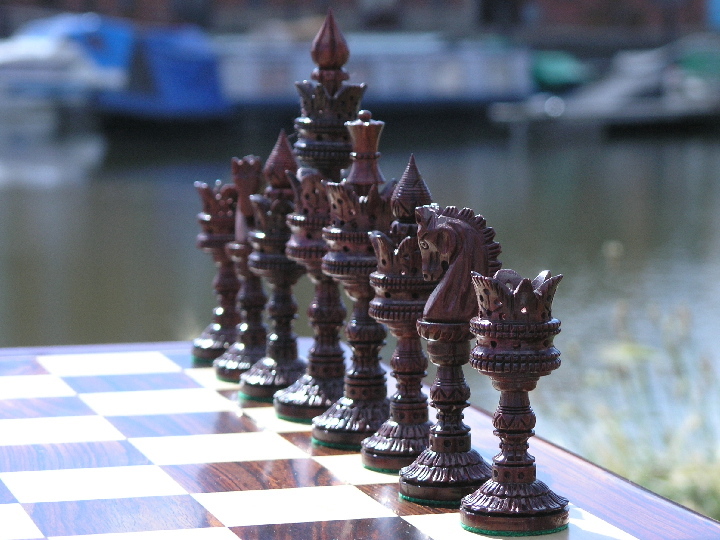 The traditional staunton is taken at base and resembled at the top, with an innovative and intricate mid section to bring together the traditional staunton design with the detailed innovation marking the Lotus genre and bringing together a luxury chess set. 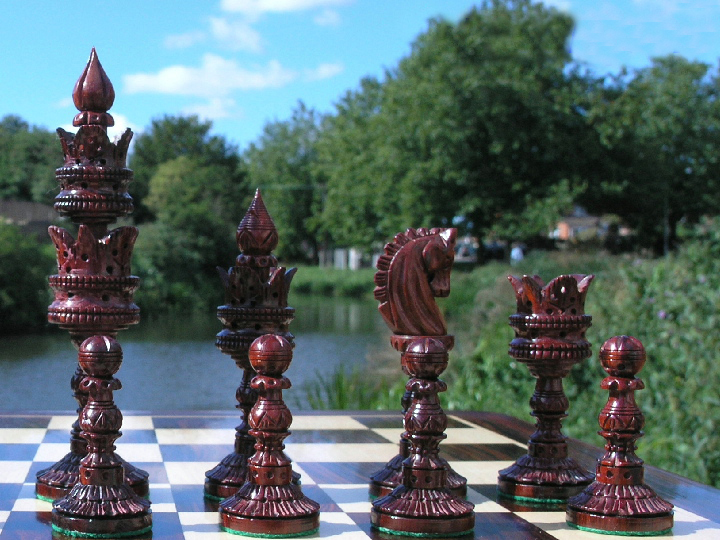 This is an expensive chess set at a non-expensive price. 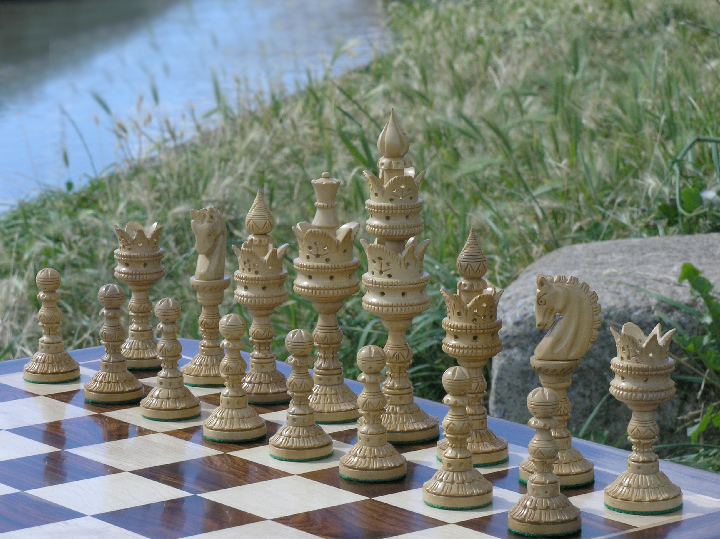 The board size should be with 2 inch squares to allow space for the tall king.